Advertiser.ie - Thinking of selling? Roscam – proving very popular with buyers. Having recently sold quite a number of properties in Roscam, Mullery auctioneers is now seeking more houses in the area to meet the demand currently being experienced by the agents. 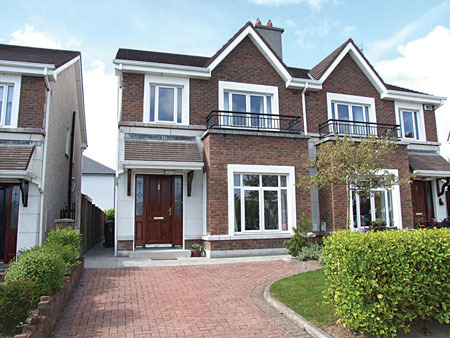 Mike Mullery of Mullery auctioneers said the company has recently sold a number of properties in Roscam including two detached homes in Caiseal Cam, a four bedroom semidetached home in Caiseal Cam, and a three bedroom semidetached residence in Boireann Bheag. The agents also have offers on a third detached property in Caiseal Cam and very good interest in a three bedroom semidetached home which has not yet come on the open market. Mr Mullery said the area appeals to first time buyers for a combination of reasons including the extensive beautifully landscaped and well maintained common areas, the well designed and finished O’Malley built homes, and the convenience of Roscam to a wealth of amenities. According to Mr Mullery realistically priced homes in the area are selling well, with one detached home selling before it came on the market and another house selling within four days of being advertised. The agents have reported similar interest in other areas of the city including Knocknacarra, Renmore, Newcastle, Salthill, and Ballybrit, and currently have strong demand for properties in these locations and in particular for three and four bedroom semidetached and detached homes in the Knocknacarra area. If you are thinking about selling your property, contact Mike Mullery of Mullery auctioneers on (091 ) 567275 or (087 ) 6424106.